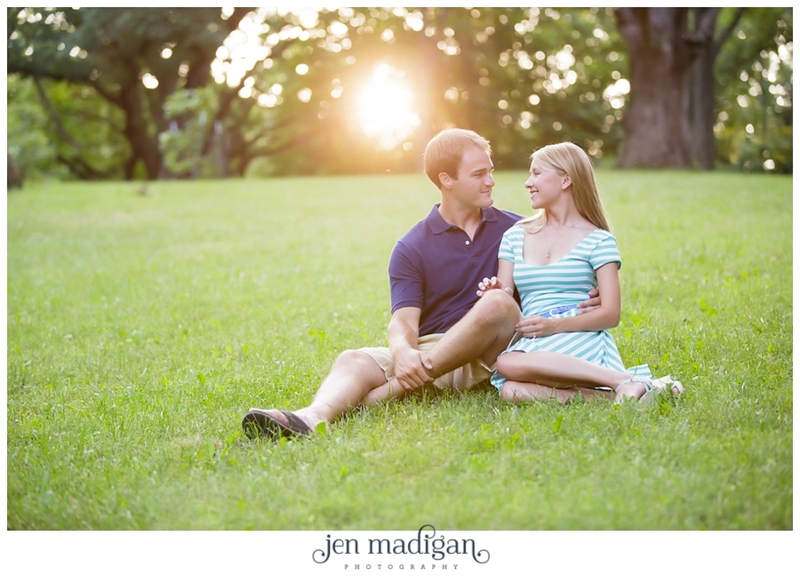 Kelsey and Jared are not only completely adorable, but sweet and so much fun as well. 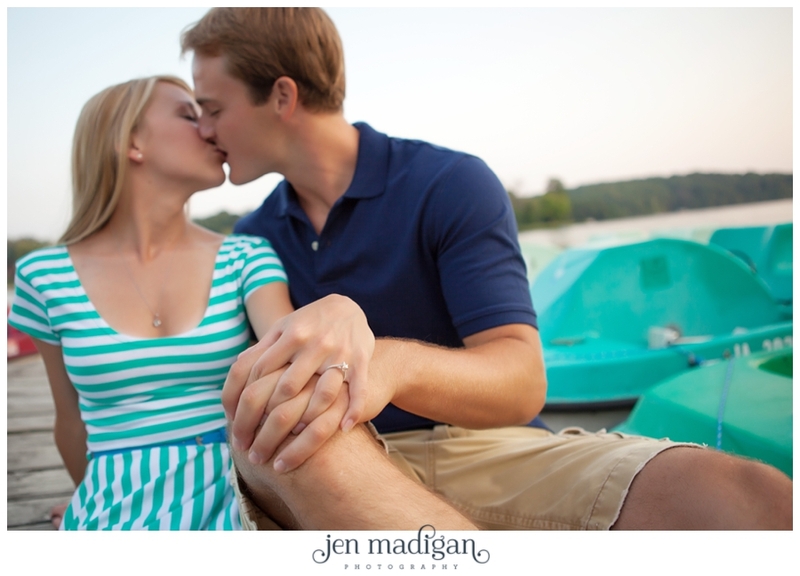 When Kelsey emailed me to discuss locations and had envisioned something including a boat, I was super excited because I'd been wanting to do a session like this for awhile. 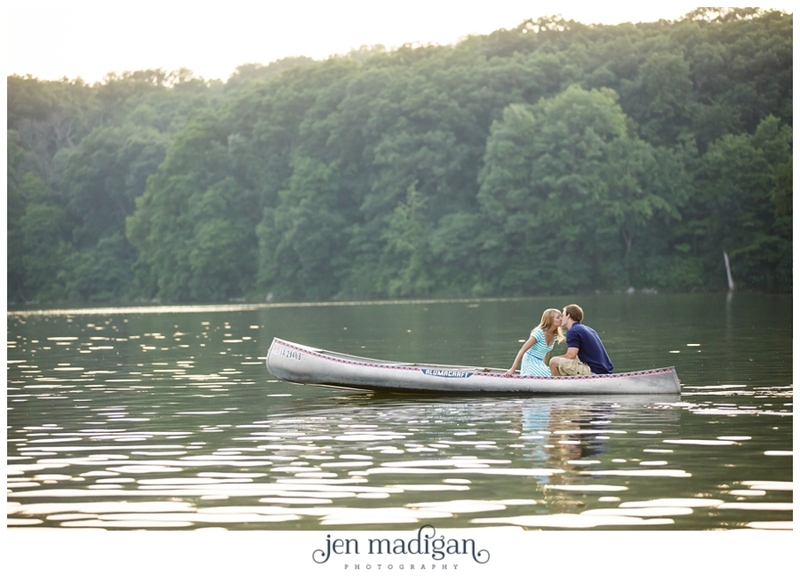 We had the perfect evening for it last Saturday, though we had to improvise with a canoe instead of a rowboat as Kelsey originally had in mind. Either way, the sunset lit lake provided a stunning backdrop, and I loved the colorful paddle boats lining the old wooden dock. 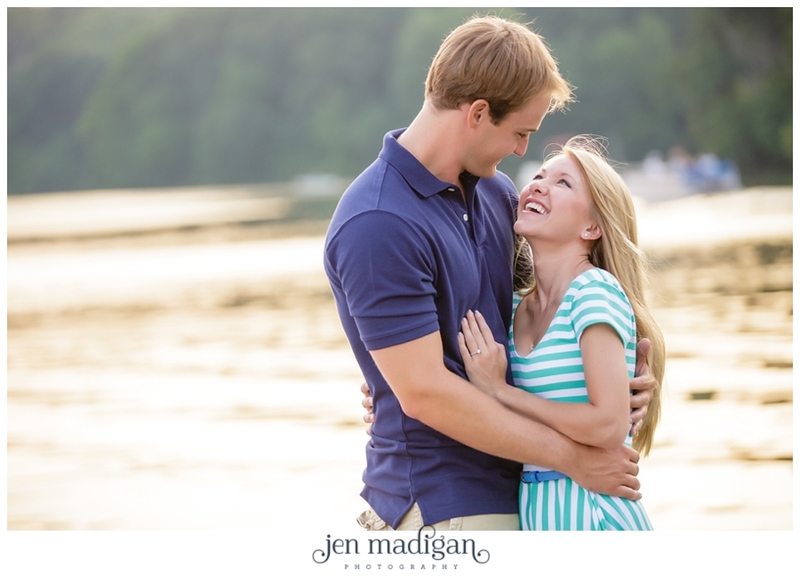 Kelsey and Jared - I cannot WAIT for your wedding in May, it is going to be beautiful and so much fun. Thank you for choosing us to document such an important time in your lives, we are so honored and thrilled. I hope you like this sneak peek!! Thanks for a wonderful evening. Below photo taken by Josh.